These units have the same specification as the ELV/6A units but have been specifically designed to pass through the apertures of low voltage downlights. 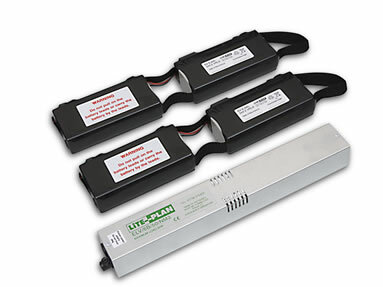 They are designed to provide reduced output in emergency mode and, where required, 12-Volts for normal mains lighting via integral or remote low voltage transformer. The ELV/6B ranges of units are supplied complete with Valve Regulated Lead Acid Battery Packs, a 1m Green charge healthy LED indicator and mounting collar. All Non-Maintained units can be converted to Maintained use by using a remote or existing transformer.